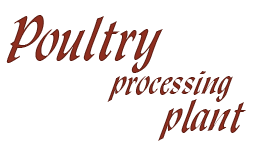 MARICA is a poultry processing plant and a manufacturer of poultry products. Recent investment projects in the period from 2000 to 2004 resulted in building a new production unit in Pruchna near Skoczow. MARICA's centre of operations is located in Ziemia Cieszyńska (Land of Cieszyn) being one the most attractive regions in Poland near A1 and E81 international routes. MARICA's production units operate round the clock, while our Sales Department is available from 2am to 8pm.